Mary Ann Roper is a lifelong resident of Rankin County and she currently lives in Pelahatchie, MS. Mary Ann was a professional in the banking and financial industry for eight years before beginning her real estate career in 2000. She really enjoys the real estate business, especially getting to meet new people as she lists homes for sale or assists buyers with finding their dream property. Mary Ann’s comprehensive banking and financial background combined with her longstanding real estate experience gives her a unique perspective of all aspects of the real estate business. She believes that being a good real estate agent means offering her clients exceptional customer service, whether helping them purchase their first home, purchase land, invest in rental property, or sell their current home. Mary Ann also enjoys dealing with hunting lease management and rental property management. She strives to guide her clients every step of the way as needed to ensure that their real estate transactions go smoothly. Mary Ann is married to Dewight Roper and together they have three sons and one daughter-in-law. She loves spending time with her family when she is not selling property or assisting buyers. 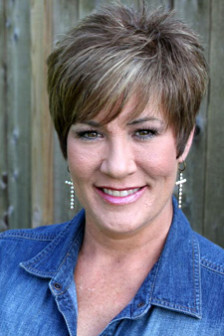 Mary Ann also enjoys the outdoors, including hunting and fishing with her husband, and her favorite sport is football. Mary Ann says keeping God first in her life is the most important thing and the rest will just fall into place. If you are looking for a real estate agent that knows the local market and can help you with houses or land, Mary Ann would love the opportunity to meet with you! She can reached at 601-720-2002 or by email at MaryAnn@HopperMS.com.